At VIDA Integrative Medicine we will always strive to fill the needs of our patients and make things as easy and convenient as possible on your journey towards optimal health. Our new office provides a serene, comfortable, educational environment for your journey. At VIDA Integrative Medicine we emphasize an integrative approach to the health and wellness of our patients. We use both conventional medicine and evidence based complementary therapies and modalities. Our holistic approach takes into account the whole person: mind, body, and spirit as well as all aspects of a patient’s environment and lifestyle. To help our patients create a healthier lifestyle that will positively impact how they function day-to-day and become the productive, joyful, creative, and healthy individual they aspire to be. To be a forerunner in the medical movement that creates health rather than just treats disease after it is established. To educate individuals so that they can make informed, healthier lifestyle choices. To motivate each individual’s commitment to his or her health plan. To help patients achieve health goals by uniting their mind, body and spirit. To discuss and evaluate the patient’s symptoms and concerns and explore various options together. VIDA Integrative Medicine is your health partner helping you to create a healthier lifestyle and a healthier you. By carefully addressing all aspects, not just an isolated set of symptoms; you will obtain a path to healthier living and vitality. Together, we can assist you in achieving your highest health goals. Dr. Carolyn George focuses on a thorough, individualized assessment of underlying causes of health issues and biochemical and/or nutritional imbalances that may be making you feel ill. Additionally, she looks for triggers of dysfunction. She utilizes this information to understand how to begin the process of disease reversal. This patient-centered approach better addresses your personal health care needs rather than traditional medical practices. Dr. Carolyn George spends time with her patients, listening to their histories, reviewing interactions among genetic, environmental and lifestyle factors that can influence long-term health and chronic disease. A comprehensive, customized health plan is developed as opposed to prescribing medication only for your symptoms. This may include therapeutic diets, medical nutrition therapy, individualized physical activity and behavior modification techniques in order to restore optimal function. The patient becomes a partner. As a patient, you become an active partner with your functional medicine practitioner. This allows you to become the CEO of your own health; in charge of improving your physical condition and changing the outcome of disease. Assessment and prevention are paramount. By examining a wide array of available interventions and customizing a treatment plan, imbalances in functionality can be addressed and restored. This method helps to prevent chronic illnesses. Treatments are based on the most up-to-date science. This includes combinations of drugs, botanical medicines, nutritional supplements, therapeutic diets, and detoxification programs. They may also include counseling on lifestyle, exercise, and stress-management techniques. Lifelong health and vitality is a journey. Long-term results need a long-term plan, one that you can live with over time. By changing how your systems function you can take back your own health . Everyone is unique. We explore each patient’s particular situation and create a customized approach and program to a healthier you. “Dr George- I wanted to send a note to let you know how much I appreciate you and your staff. When I first came to you I was so discouraged and sick. I had been to numerous doctors over a three year period spending thousands of dollars trying to figure out why I felt so awful. I would wake up needing a nap, my skin was a mess with a rash that covered my entire body, I was losing my hair, I could not concentrate and I felt I was just trying to get through each day only to find I could not sleep at night. I was told there was nothing wrong….it was just age. Thanks to you we were able to figure out what was going on with my body and put together a plan of action. Thank you for taking my concerns and attacking the root of the problem rather than simply masking the symptoms. I’m happy to say I look forward to our appointments, being able to check my progress through various testing and physically feeling the improvements. You’ve taught me what to do and how to help myself feel better….I cannot thank you enough. You truly are my answer to prayer. May God continue to bless you and your staff. ” –Ann K.
“Dr. Carolyn George is truly a maverick in her field. In just a few short months of treatment, she has totally changed my health and energy around completely in the most positive way and more quickly than I could have ever imagined! With her innovative approach and kind individual caring way, she’s not only a diagnosis genius in my opinion, but more importantly my personal partner in getting me back to 100% health and fitness which less than 90 short days ago I truly thought was just a lost dream!!! I feel so blessed to have Dr. George and her caring staff of professionals on my team to win back my health and add to the quality of my life. I’m no longer afraid of aging, I’m embracing it! ?” -C.R. “A visit to VIDA Integrative Medicine is an investment in true well-being. Like many patients with autoimmune conditions, before visiting Dr. George I experienced doctors who dismissed my symptoms and concerns. My experience at VIDA could not have been more different; Dr. George was patient and compassionate. She took the time to listen and to fully evaluate my health, pinpointing the underlying and root causes of dis-ease. Through that experience, I began to understand my health history as a complex web of interactions, not isolated issues to be fixed one-by-one. That understanding changed the way I looked at my life and has contributed to a richer awareness of how I can achieve a more lasting state of good health. I’m now happily on the path and lucky to feel so supported along the way. Thank you to Dr. George and her supportive, lovely office staff.” – J.W. “There is no substitute for a genuine, caring doctor who takes the time to fully evaluate your health. Dr. Carolyn George was the first doctor who worked with me to identify the underlying causes of my symptoms, creating a personalized healthcare plan that agreed with me and my lifestyle. She was willing to examine my entire medical history and use new and improved treatment methods to treat the chronic symptoms I was having for years. I now understand the feeling of true health, rather than the absence of sickness, and I am able to enjoy life so much more because of it. I would recommend Dr. George to anyone! !” -C.S. 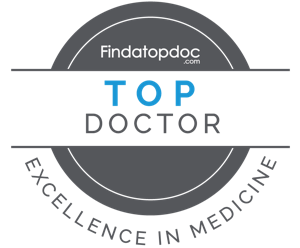 “Dr Carolyn George is a kind, compassionate and caring physician integrating her traditional Medical training with Functional Medicine. Her practice is patient centered rather than symptom centered, looking at the whole person. She performs a comprehensive lifetime medical history and evaluates other factors that may have a role in the disease process. Dr. George spends time with you as a patient, listening intently, performing a thorough physical examination and ordering the appropriate lab tests. She formulates her plan of action considering the environment, lifestyle and genetics of each patient. I highly recommend Dr. George, especially to anyone who is struggling with an illness that their traditional physician does not have the answers to treat the illness and more importantly the underlying cause of the illness. I have recommended several people and will continue to do so.” -M.C. “I can’t thank Dr George enough. After having thyroid cancer I was feeling my worst and my regular doctor ignored all my complaints. A friend recommended her to me and from that day forward to today I feel like myself again. My energy is so much better as well as my allergies. Who would think I was allergic to chicken, dairy and eggs to name a few. I am so happy to recommend Dr George to all my friends.” -Y.O.